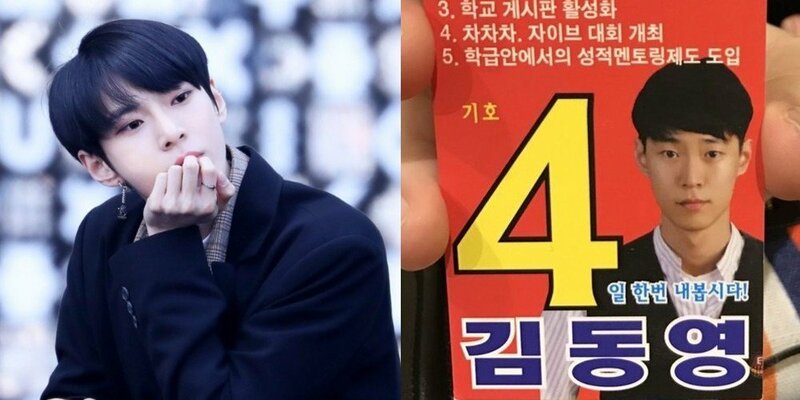 Often called the mom of NCT by NCTzens, NCT's Doyoung is making fans swoon with his adorable and rather "nerdy" past. 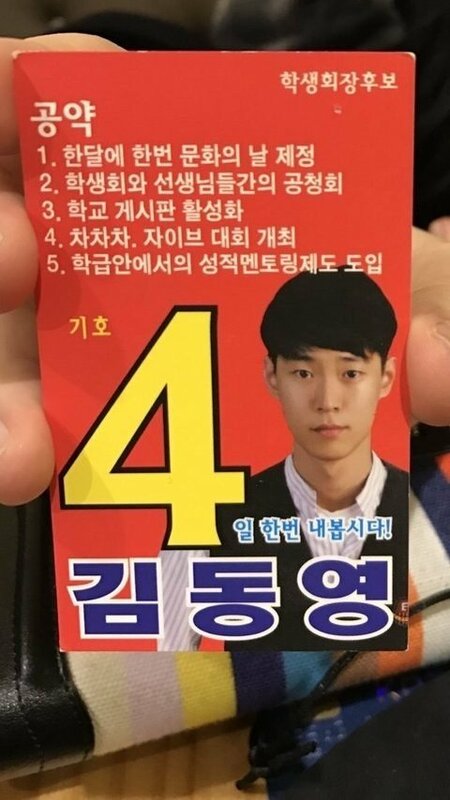 Netizens on an online community recently found some pre-debut material related to Doyoung including a promo card that Doyoung used to run for student body president during his pre-debut school days. 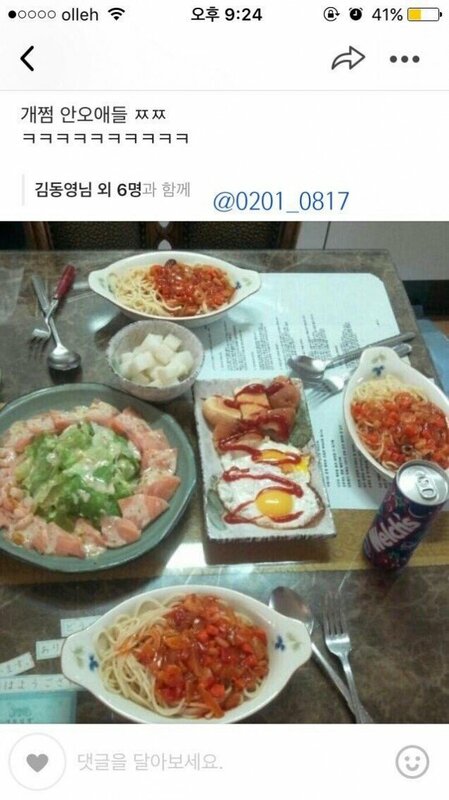 That Doyoung used to invite his friends over to his house to cook for them like below.�Doyoung's friends said, "Hella awesome, poor kids who couldn't come kekekeke" and "Wow Dongyoung you're the best, it was delicious hehe"! Netizens who came across Doyoung's "nerdy" past commented, "Doyoung's pre-debut stories are all the same TT. 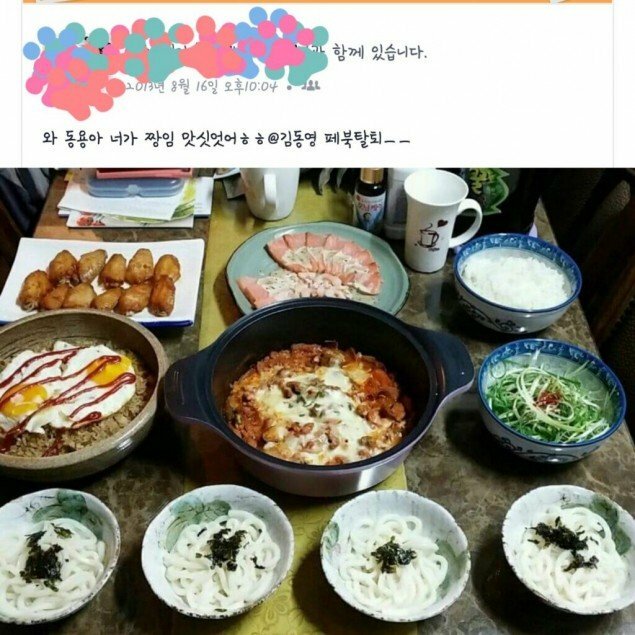 He was a good kid, he was earnest, he had good grades, he was the student body vice president...", "Wah that cooking though, my marriage target is him", "I've never seen a boy inviting his friends over to his house and serving that kind of food", "Kim Dong Young why so perfect", "Seriously? I'm suddenly interested in him", "He made that?! I want some so bad", and more.